Think puppetry begins and ends with Punch and Judy? Prepare to think again. After an acclaimed first outing in 2017, Moving Parts Puppetry Festival is back for nine days of spectacular visual treats on both a small and grand scale between Saturday 6th and Sunday 14th April across a variety of venues including Alphabetti Theatre, Dance City, Seven Stories and Space Six. “We have made sure to include shows that are funny, absurd, dark, beautiful, technically impressive, historical, or a mixture of all of those, so that there is something on offer for everyone,” says Kerrin Tatman, the festival’s Artistic Director and Co-Founder. As part of the festival’s pledge to bring the art-form to as many people as possible, the opening event on Northumberland Street on Saturday 6th and Sunday 7th April will bring free outdoor performances to the masses in the form of a life-sized giraffe marionette and a six-metre tall dancing couple. “By programming the three giant puppet acts on one of the busiest streets in the country we hope to reach people from all walks of life and those that may have never seen puppetry in this context before,” Tatman says. Helping ensure the magic is very much alive, the Puppet Cabaret on Monday 8th mixes Rajasthani dancing, vaudeville wonders and even a live possession, while a Stop Motion Film Night on Thursday 11th will show off all the possibilities of the form; while the Blowout Party on Saturday 13th, featuring prog-rockers Henge, promises to be a cosmic night to remember. For anyone looking to get hands-on, there’s also a host of workshops on offer, from a beginner’s crash course in puppet making to masterclasses focusing on performance essentials like creation and direction. All this is just the mere tip of the iceberg when it comes to what’s on offer (check out their website for the extensive programme listings), but if you’re looking for a recommendation Tatman suggests the UK premiere of Noone’s Land by Merlin Puppet Theatre at Dance City on Wednesday 10th. 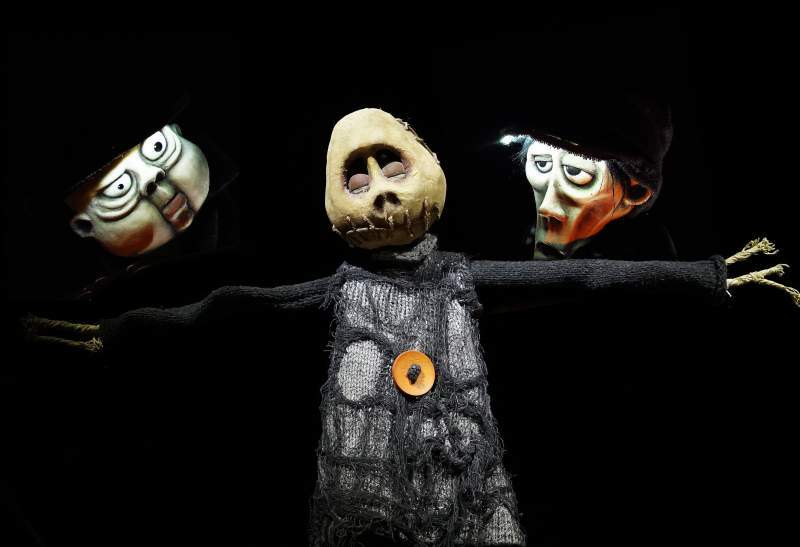 “The show is beautifully crafted – check it out for sure if you are a Tim Burton fan! – but is also very simple at its core, following a scarecrow and the experiences he has fixed to the same point in the ground,” he enthuses.